If you only know Mystique from the X-Men movies starring Jennifer Lawrence, then you don’t really know her at all. Those films have been, shall we say, less than accurate with their portrayal of Raven Darkholme. While Mystique has occasionally been a member of the X-Men, her stints on the team have usually ended in betrayal. Mystique isn’t a hero, and she’s even more twisted than most villains. Raven is a bit of a psychopath who is willing destroy anyone who gets in her way. And sometimes, she does it for fun. As part of Marvel’s X-Men Black event, Seanan McGuire and artist Marco Failla have teamed up to show a day in the strife for Mystique. 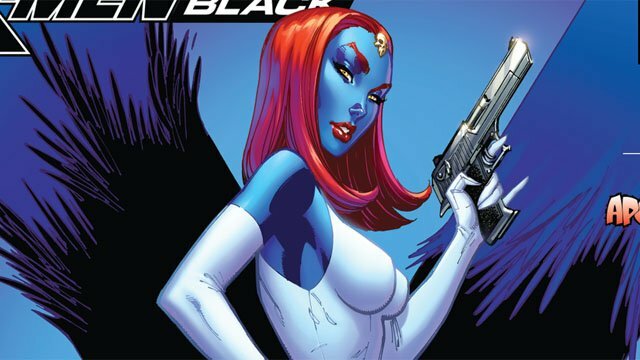 X-Men Black: Mystique #1 is a one-shot that follows Raven when she doesn’t have any particularly grand ambitions. Instead, she casually leaves chaos and ruined lives in her wake just because she can. Even a few well chosen words are enough to bring down Mystique’s random victims. As alluded to above, this issue also has a backup story featuring Apocalypse. Zac Thompson and Lonnie Nadler are teaming up with artist Geraldo Borges to follow Apocalypse as he faces his worst nightmare. The immortal being who was supposedly among the most powerful mutants is rapidly becoming human in a very hostile world. Even Apocalypse may not be able to cheat death this time. You can read the full exclusive preview in our gallery below. X-Men Black: Mystique #1 will be released on Wednesday, October 17.